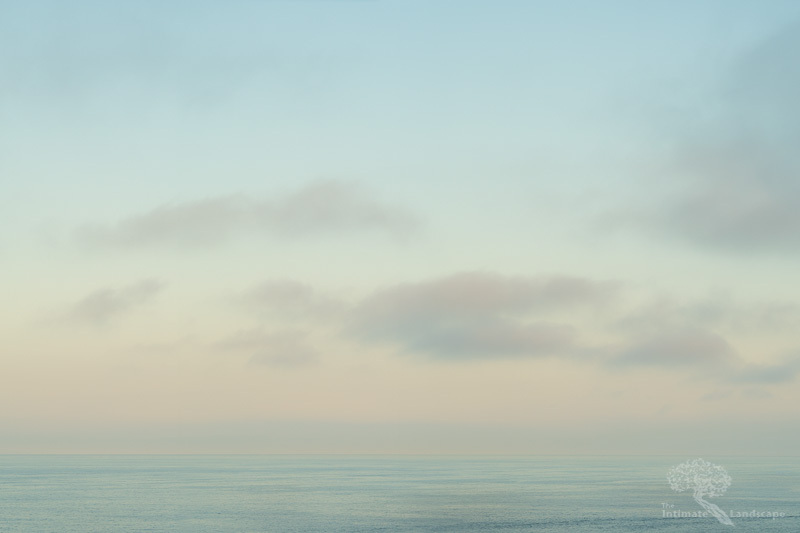 A calm sea, pastel skies, and cotton clouds. This image was taken during a recent trip to the ocean. I was attracted to the color in the sky; blue-green descending to a very subtle, light orange. The air was very calm, the clouds were just hanging there in the sky, not really moving much at all. This is a collage of three vertical images taken with an Olympus Pen F digital camera and an Olympus 45mm f/1.8 lens. Each exposure was 1/200th of a second at f/8 at ISO 200. There aren’t any hard edges in this scene and the colors and tones are so subtle, neither Photoshop nor Lightroom were able to assemble the collage and I had to do this one manually. This entry was posted in Minimalism, technique and tagged beach, calm, clouds, m43, micro four thirds, ocean, olympus pen f, pastel, peaceful, Sky, water.